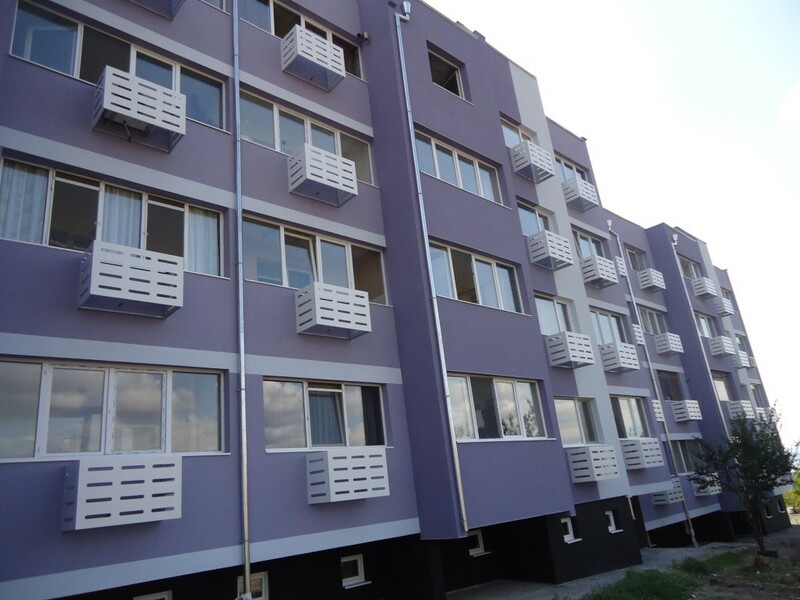 By ordinance №18, from February 2, 2015/on the conditions and order for providing grant aid funding under the National Progrmme and on defining the bodies responsible for its implementation/ of February, 2, 2015 of the Council of Ministers, an Energy Efficiency of Multi-Family Residential Buildings National Programme (the Programme) was adopted. The Energy Efficiency of Multi-Family Residential Buildings National Programme has been oriented to the renovation of multi-family residential buildings with a main objective to secure better living conditions for the residents in the multi-family residential buildings, heat comfort and higher quality of living environment through implementation of energy efficiency measures. Extending the life of the building that will have a higher price. Creating warmer, cozy and nice homes and renovated common areas of the buildings. Participation in the implementation of the Programme of small and medium-sized companies from all over the country. Raising the incomes of all economic operators, participating in process under the Programme – from the directly engaged companies external contractors to all companies – subcontractors, and servicing firms lead to increase of tax revenues in the state budget in the form of both direct taxes – corporation tax (profit tax), income tax (paid by all workers and employees) and indirect taxes - value added tax. This applies to also for the revenues in the state budget in the form of social and health insurances for the hired at a certain company. The decentralization implementation model.Municipalities carry out acceptance of applications, evaluation, approval, provide funding, monitoring of the implementation of the measures for energy efficiency of buildings. A mayor of each municipality is responsible for carrying out the whole process on the renovation of residential buildings, located on their area and for the selection of contractors under the public procurement act for implementing the separate activities on buildings. Eligible to apply are all multi-family buildings, designed before April, 26, 1999 three or more floored buildings with six or more separate sites with residential use. Implementation of energy efficiency measures, prescribed as required for the building in the energy efficiency audit. Concomitant construction and assembly works related to the implementation of energy efficiency measures and the relevant rehabilitation of common areas of the building as a result of the implemented measures with energy saving effect. The attendant construction and assembly works are related only with the restoration of the initial state, broken as a consequence of the renovation of the common areas and the change of joinery in the separate site. The most effective package of energy saving measures for the building is financed under the Programme, where energy consumption class C in line with Ordinance 7 of 2004(for energy efficiency, heat storage and energy saving in buildings) has been achieved. Activities under the Programme have been implemented throughout the Republic of Bulgaria in the 265 municipalities. The Programme has been implemented through a financial resource totaling 1 billion leva that could be increased if additional funds are provided. The application under the Programme has been implemented permanently in a period of 2 years: 2015 and 2016. The continuation of the Programme could be extended if free financial resource is available. External contractors, selected by the municipalities under the terms and conditions of an open procedure under the Public Procurement Act. Ordinance 18 of the Council of Ministers February, 2, 2015 on the adoption of the Energy Efficiency of Multi-Family Residential Buildings National Programme (the Programme), the conditions and terms for providing grant financial aid under the Programme as well as on defining the Bodies responsible for its implementation. First amendment through Ordinance of the Council of Ministers №114 of May, 8, 2015. Second amendment through Ordinance of the Council of Ministers №282 of October, 19, 2015. Third amendment through Ordinance of the Council of Ministers №23 of February, 4, 2015. Reference values, coordinated by the Minister of Regional Development and Public Works in January 2016. Reference values, coordinated by the Minister of Regional Development and Public Works in October 2016. The reference values have been published on the webpage of MRDPW.